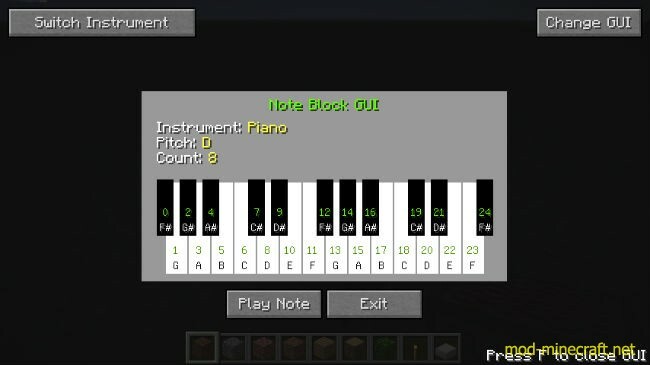 Note Block Display Mod works in both Single and Multiplayer Keeps the noteblock setting even if the mod is removed doesn’t change the noteblock at all. 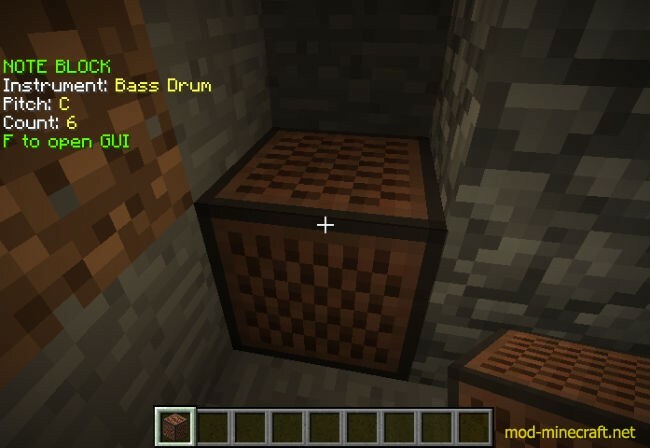 Go to your Minecraft directory (%appdata%/.minecraft/). 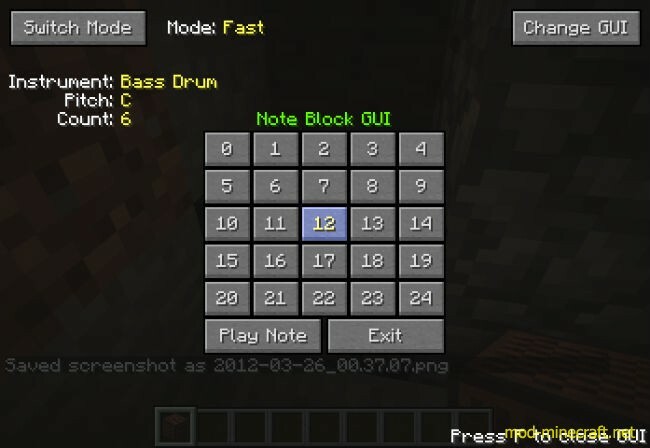 If there is not a folder named ‘mods’, create one in the ‘.minecraft’ folder. 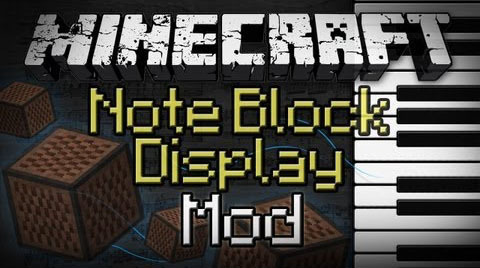 Place the ‘mod_noteblockdisplay.litemod’ inside the ‘mods’ folder. You are done! Everything should work now.